Our high quality, fairly traded market baskets are handwoven in the weaving villages near Bolgatanga in northern Ghana. They're functional, durable, long lasting and above all beautiful! We pick every basket individually, testing it for strength, quality of weave and neatness of finish. More importantly, we make sure that the weavers get the best possible return for their creative work. This means that we - and you - get only the very best quality baskets. When we're in Bolga we hang out with our great friend and basket guru Greg MacCarthy. Everything we've learned about baskets, we've learned from Greg and the weavers who congregate in his compound drinking tea, gossiping, laughing, singing and weaving baskets. 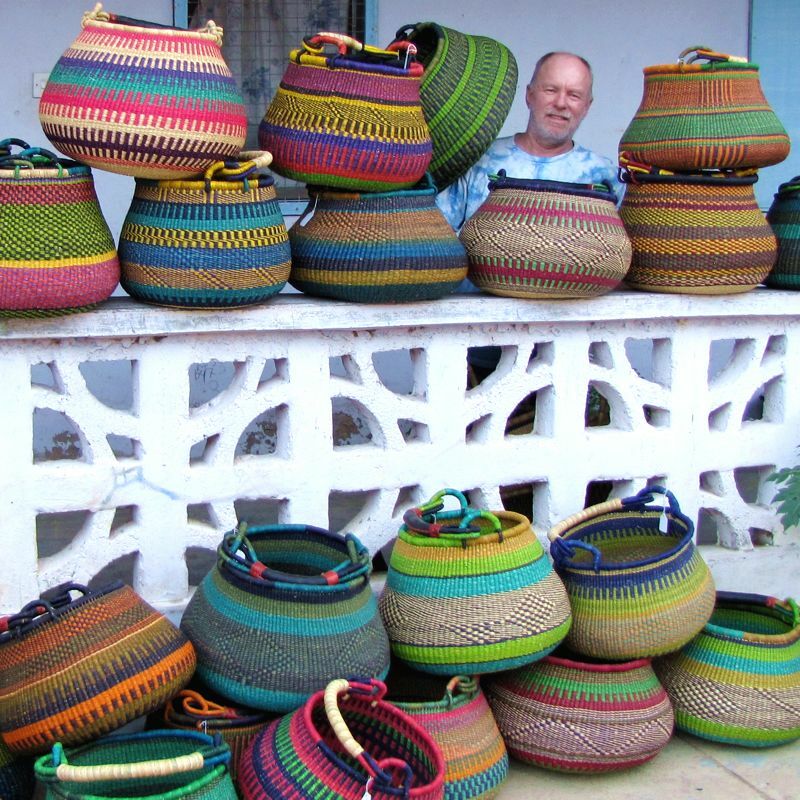 Greg has been working with the basket weavers of Bolga for over ten years, helping them improve the designs, colour and quality of their fantastic baskets. His positive impact on the lives of the weavers and their families is truly beyond measure. 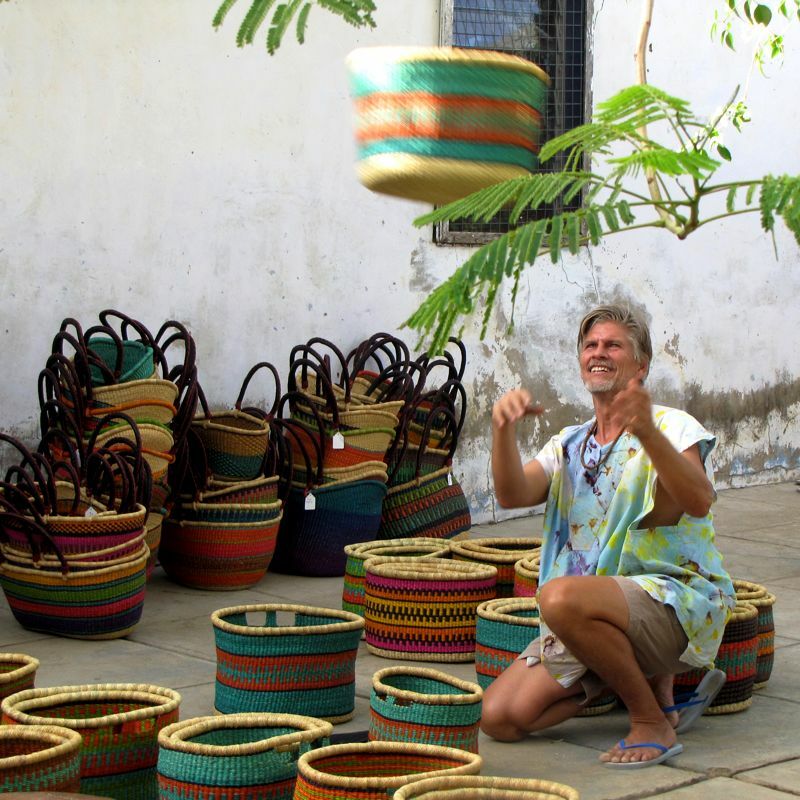 Not only does he buy many, many baskets for his own highly principled fair trade business - The Baba Tree Basket Co - but he helps connect the weavers to a whole new market through other fair trade businesses like The African Fabric Shop.